From their debut in 2010 on, the Brussels-based Razen aimed at using the unique timbral and drone characteristics of their chosen string and wind instruments in improvised, instinctive music that mixes pre-industrial, spectral and ethnic dreamtones with trance and medieval mysticism. 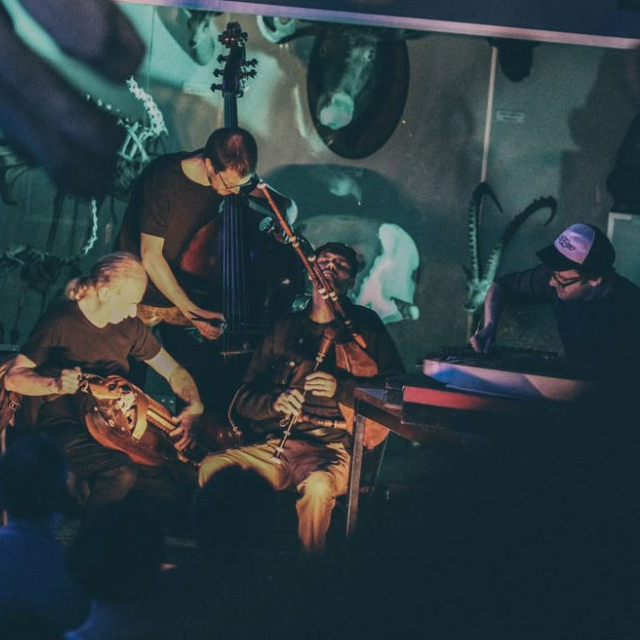 Originally a duo of Brecht Ameel and Kim Delcour, over the past years Razen has grown into a larger ensemble, with the addition of Pieter Lenaerts on 5-string double bass and sarangi, Paul Garriau on hurdy-gurdy, and David Poltrock on ondes-Marthenot. The band has built a strong reputation in Belgium and abroad, both on their recorded output as with their ever-changing live shows.